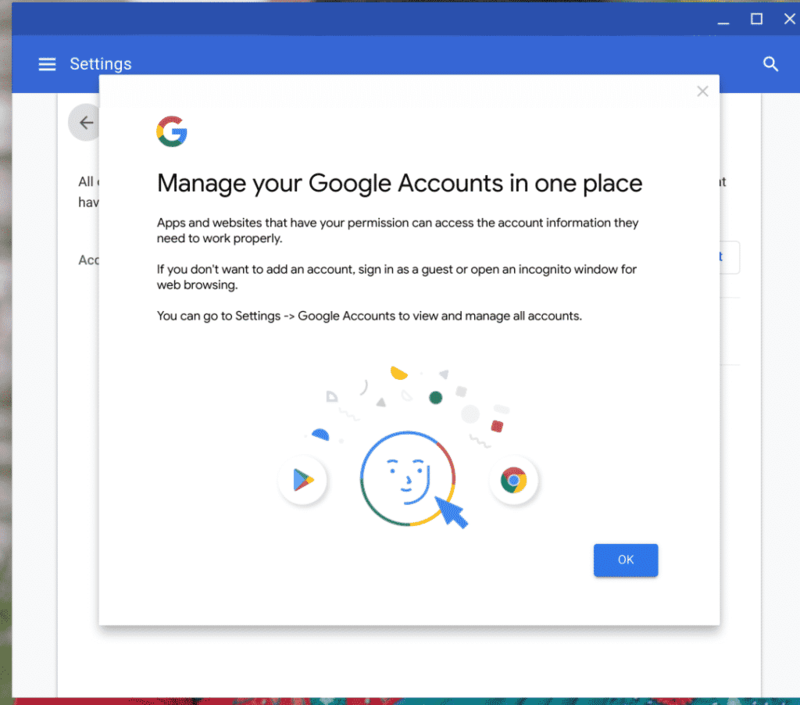 Back in September ’18, I shared a few screenshots from an upcoming Account Manager for Chrome OS. I also told you folks that I could not get it working. Today’s update to the Canary channel of Chrome OS has changed this. If you are a video-person, here is a quick demo of this feature. I now have multiple accounts working on my Pixelbook. (I do not think this will be a Pixelbook or Pixel Slate exclusive though). 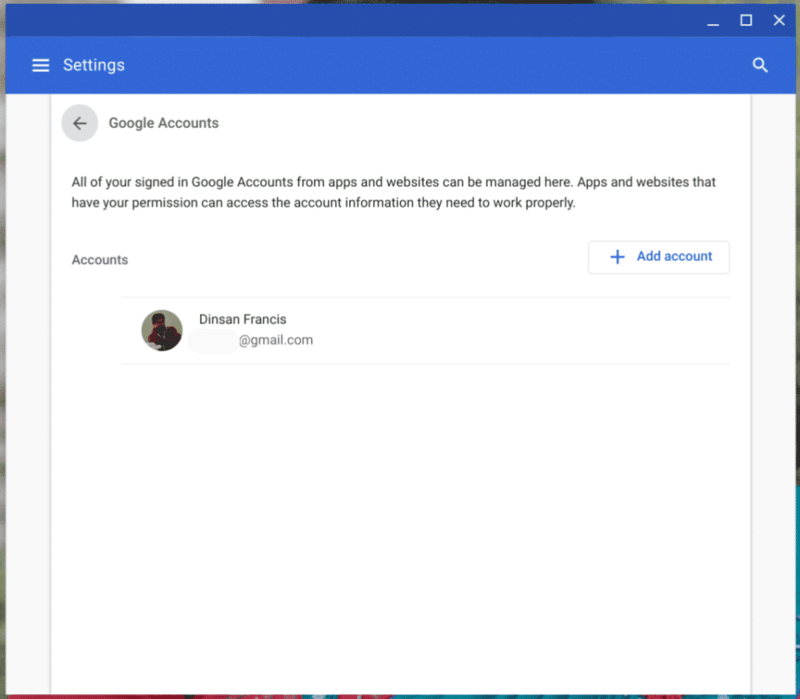 This new account manager shows up under Settings > People > Google Accounts. After today’s update, I got this popup, inviting me to give this feature a try. Setting this up is pretty easy. All I had to do was login using another Google account. I could then use this account in Android apps and even on website. 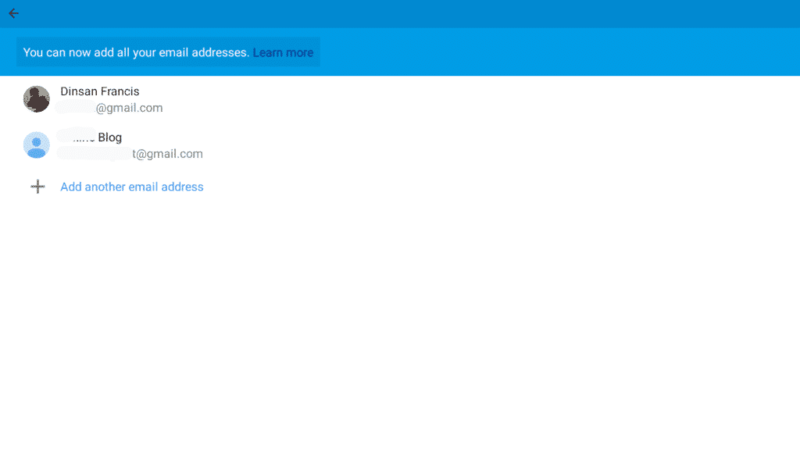 For example, I installed the Gmail app after adding a second account. When I launched the Gmail app for the first time, it asked me to choose from my default account and the second account that I added today. I could also open existing Android apps like the Google Play Books app, and switch account to this new one.